Well, if there ever was a gift horse, this one rides into Scheumann Stadium on Saturday. Let’s try not to look it in the mouth, shall we? Akron comes into the contest with the Cardinals at 0-9, and I pray to the Footballor, the God of pigskin, that we don’t allow yet another opponent this season to break their victory cherry against the Cards. Should we win? Absolutely. Will we win? Oh, who the hell knows. The Zips’ closest loss this season was a 1-point OT L to FCS Gardner Webb… they’re 3-5, unlike BSU’s FCS conqueror Liberty, who clocks in at 6-2. Outside of that, Akron lost by 11 to Kent and 15 to Indiana. Past those games, it’s been bloody and brutal on their trek to 0-9. Time to better know the ins and outs of the Akron Zips. Last Meeting: 2008, Ball State won 41-24 behind Sean Baker’s soul feasting and Nate Davis’ 300 yard game. … Patrick Nicely has completed 118-of-240 passes for 1,182 yards with three touchdowns and nine interceptions this season. … Akron plays on the road for the fourth time in five weeks, traveling to MAC West Division opponent Ball State (2-7, 1-4) on Saturday. … Saturday’s matchup with Ball State completes a two-game road swing for UA (its third two-game away stretch of the season) and closes out the Zips traveling for the 2010 campaign. UA will enjoy its bye week next week, with its next competition date coming on Nov. 17 versus Miami (Ohio). … Akron closes out the regular season with home matchups against Miami (Ohio) on Nov. 17 (a Wednesday) and Buffalo on Nov. 26 (a Friday). This is the first time since 2005 that the Zips have finished the regular season with consecutive home games, winning both that year (27-3 versus Ohio on Nov. 15 and 35-3 versus Kent State on Nov. 24). … The Zips look for their first road win since a 42-35 victory over league opponent Eastern Michigan on Oct. 18, 2008 in Ypsilanti, Mich., (stretch of 13-straight away losses). … UA posted a 3-3 record at home last season, and is now 3-7 all-time in one-year-old InfoCision Stadium-Summa Field. The program closed out the 2009 season with a 28-21 home victory over league foe Eastern Michigan (Nov. 27). … During the first five weeks of the season, Akron faced three programs from automatic qualifying BCS conferences and opened its conference schedule against the favorite to win the MAC’s West Division in Northern Illinois (NIU won 50-14 on Oct. 2 in Akron). The Zips opened the campaign at home against Big East Conference foe Syracuse (29-3 loss on Sept. 4), suffered a 47-10 road defeat at Southeastern Conference opponent Kentucky on Sept. 18 and fell 35-20 at Indiana, out of the Big Ten Conference, on Sept. 25. 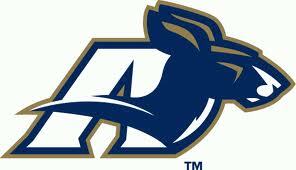 … 2010 marks the 110th season of Akron football. … Last Saturday’s Temple game marked the first time this season that an Akron opponent has not scored a touchdown in the first half. The Owls converted two field goals. … Sophomore LB Brian Wagner leads the team with 93 tackles (48 unassisted). His 10.3 tackles per game rank second in the MAC and tied for 13th nationally. He returned a fumble recovery 57 yards for a touchdown against Western Michigan on Oct. 23 (his second career TD). He also has one interception, one sack and three pass break-ups this season. Wagner has tallied double-figure tackles five times this season and 11 times in his career (10 at Temple last Saturday). He was a freshman All-American in 2009, tallying a team-high 132 stops. … Senior DE Shawn Lemon leads Akron, ranks second in the MAC and 24th nationally in sacks, with seven (0.78 sacks per game). He also leads the squad in tackles for loss (nine for 48 yards). Lemon has forced three fumbles and has two fumble recoveries in 2010. … Senior offensive linemen Mike Ward (C/OG) and Corey Woods (LT) have started all 45 games of their career. … Ten true freshmen have played for the Zips thus far this year and UA has called upon the services of 14 first-year players, with five redshirt freshmen also seeing the field. … Eight of Akron’s 14 touchdowns this season have come on the ground and six of those are courtesy of senior RB Alex Allen. Allen has two multiple touchdown games in 2010 (versus Northern Illinois on Oct. 2, against Gardner-Webb on Sept. 11) and four in his career. His 53.3 yards per carry leads the team. … Allen was granted a sixth year of eligibility by the NCAA after he suffered a season-ending hip injury during the 2008 season. He took a medical redshirt during 2006 due to a knee injury. Allen carried the ball 59 times for 188 yards and tallied five touchdowns (most of any UA rusher) in 2009. He earned a bachelor’s degree in business and organizational communication in August 2010 and is working towards a master’s degree. … Freshman QB Dylan Potts had his redshirt removed during the fourth quarter of Western Michigan game (Oct. 23). He assumes the role of backup QB as former second-stringer Matt Rodgers is out indefinitely after suffering a concussion in the Oct. 16 game at Ohio. … Senior WR Jeremy LaFrance is out indefinitely due to a knee injury (sat out the last two games). He leads the team with 28 catches for 364 yards, and also has three of UA’s five receiving touchdowns and one of its eight rushing TDs this season (the rushing TD was on a fake FG goal at Kent State on Oct. 9).